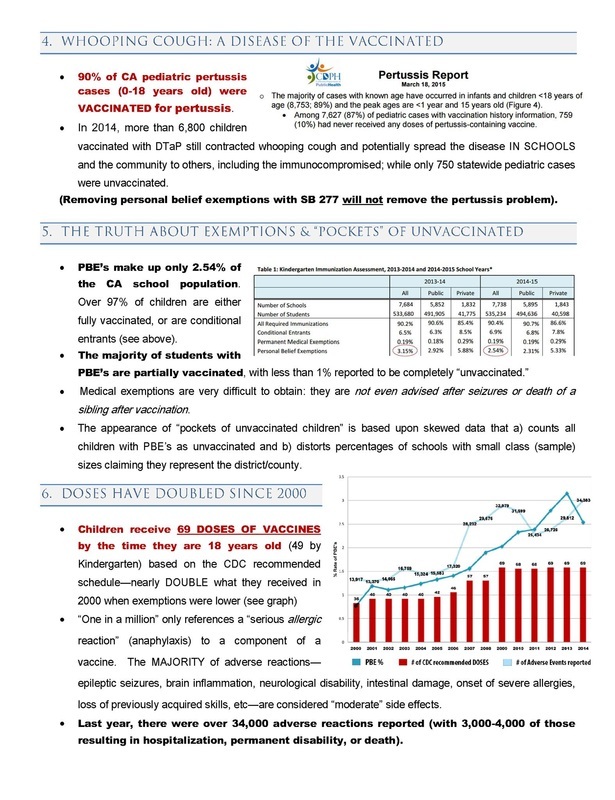 Vaccine Exemptions are declining. 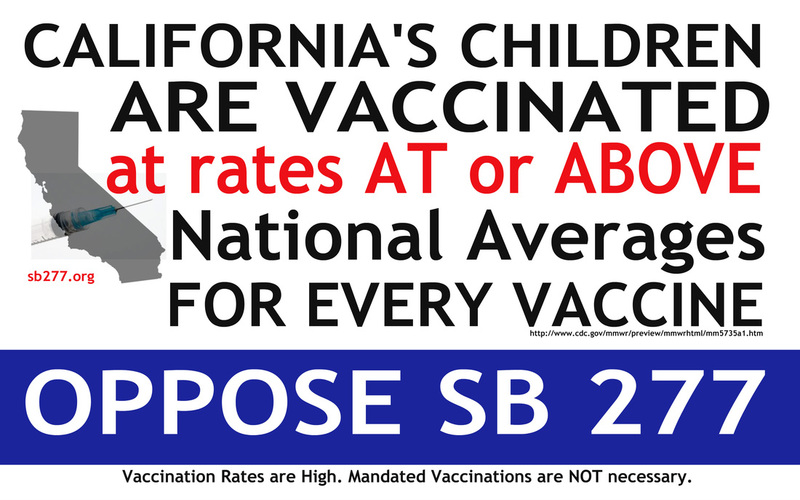 AB2109 went into effect January 1, 2014 and personal belief vaccine exemptions (PBE) DROPPED 19%. 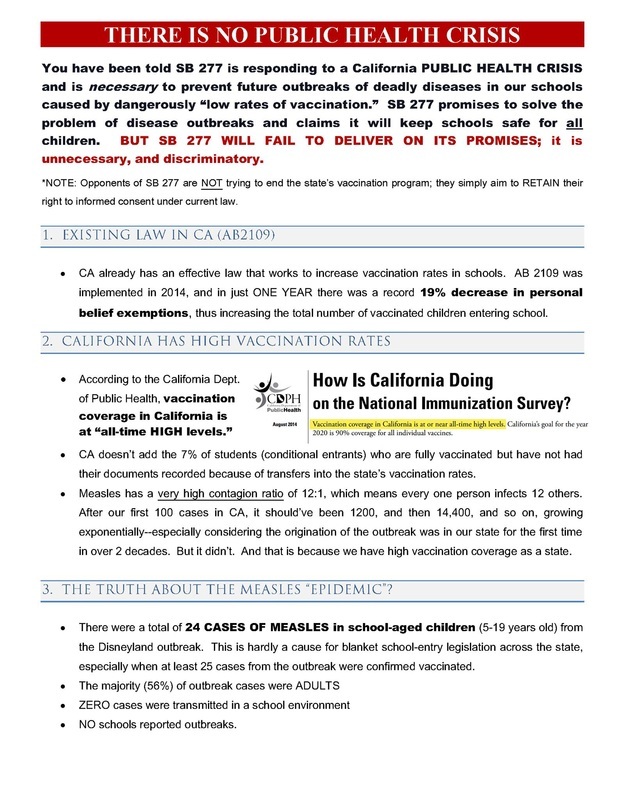 SB 277 is a mandated vaccination law based on fear not fact. Those children who are not completely up-to-date on every state mandated vaccine will be denied an education "private or public elementary or secondary school, child care center, day nursery, nursery school, family day care home, or development center." SB 277, would eliminate a parent's right to exempt their children from one, some, or all vaccines, a risk-laden medical procedure. 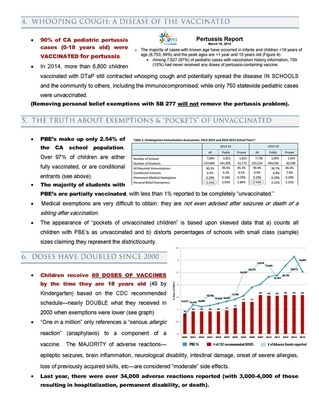 Only a medical exemption would remain, which is usually only issued after a catastrophic adverse vaccine reaction has occurred, and often times, not even then.